Turquoise water, white sand beaches, and carefree days by the pool -- these are the images of paradise that vacation resorts want you to see. 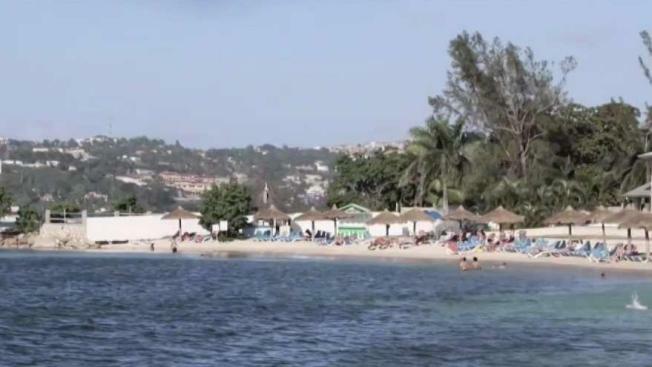 But a shadow has been cast over some of the top vacation spots in the world as the State Department issues dire safety warnings. New Jersey couple Ashley and Jeffrey Pascarella learned the hard way when they and their closest friends and family flew to a Sandals resort in the Bahamas to celebrate their wedding. "It really just one of the most memorable trip of our lives, up until the night of our wedding," said Ashley Pascarella. After their welcome party, a butler assigned to their room brought up water and snacks. Jeffrey headed to the bathroom with the butler close behind. "I told him I have to get ready, so we have to go," Jeffrey recounted. "He gets up, follows me. I go to the bathroom and he leaves." But the butler, they said, snuck back into the room and headed straight for the bed where Ashley was asleep. Ivy Lee said she was also molested at a Sunscape resort in Montego Bay, Jamaica. A man who worked for a beach vendor at the hotel offered to teach her how to swim. She remembers trying to float while he was holding her up in the water. "He starts touching me, I’m like 'no, no, no!'" Lee recalled. Jamaica and the Bahamas, where Ashley and Ivy vacationed, are both flagged as "critical" threat locations. Both women said finding justice is not easy. Because of their persistence, the Pascarellas say they were able to file a police report and their butler was arrested. He eventually pleaded guilty to indecent assault. In Lee’s case, she was on her way to the police, but said she changed her mind after talking to a hotel worker. "He told me that after I filed the report, the police would go and arrest him and that he would sit in jail until the court date," Lee recalled. "And that I would have to return on my own expense for the trial, but in my heart I knew I would never return." A spokesperson for Sunsplash said "in any instance, crimes of sexual assault are horrific and our empathy is with the people affected by them." Former State Department special agent and current Senior Director of Security Risk Management at Kroll, a division of Duff & Phelps, Matthew Dumpert says reporting the crime to police is critical, even if it’s not easy, as well as contacting the U.S. embassy. "They understand the local culture and the local judicial system," said Dumpert. "They might be able to give you some assistance." Sandals offered to refund the Pascarellas for the trip but only if they agreed to sign an agreement and to remove all social media posts and online comments about their trip. The couple refused and filed suit against Sandals instead. Their attorney is in the process of serving the lawsuit. "They were trying to keep it quiet as possible," said attorney John Iannuzzi. "It can be quite damaging if it became widespread and known that these things happen." In a statement, Sandals, which has 24 resorts in the Caribbean, said "the narrative that the Pascarellas are presenting is contrary to the statements collected … at the time of the alleged incident." They also said, "We take criminal allegations of violence seriously, report such allegations to law enforcement, and fully cooperate with law enforcement’s investigation." Dumpert said doing research can go a long way. Instead of focusing on the hotel amenities, find out the environment of the place you are visiting. What types of crimes are being committed? And are the local police aggressive about making arrests? "They don’t want bad headlines. They don’t want bad press and they don’t want to deter the foreign income they rely on for tourism dollars."